Management Team :: BrainChip Holdings Ltd.
Peter van der Made has been at the forefront of computer innovation for 40 years. Mr. van der Made is the inventor of a computer immune system at vCIS Technology where he served as CTO and later Chief Scientist when it was acquired by Internet Security Systems and subsequently IBM. Previously, he designed a high resolution, high-speed color Graphics Accelerator Chip for IBM PC graphics. Most recently Mr. van der Made published a book, Higher Intelligence, which describes the architecture of the brain from a computer science perspective. 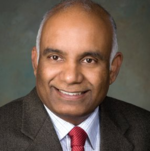 Anil Mankar has spent 30 years developing products in the semiconductor industry. At Western Digital, Mr. Mankar developed PC core Logic chipsets. 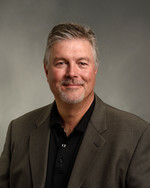 During his years at Conexant Systems Inc. in the position of VP of Engineering, he developed multiple products across industry segments and later became the company’s Chief Development Officer overseeing all product development for V92 Modem, DSL, Set-top boxes, PC audio and video ‘System on a Chip’ products. Mr. Mankar was SVP of VLSI Engineering at Mindspeed Technologies, responsible for Wireless and VOIP infrastructure product development. 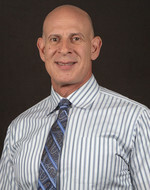 Mr. Levinson most recently served as Vice President of Data Management at Rstor where he previously served as Vice President of ASIC Engineering. 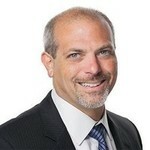 Mr. Levinson has also served as Vice President of Engineer at Rambus and Vice President/General Manager of Strategy and Innovation at Semtech. He held a variety of senior engineering positions prior to joining Semtech including at Intersil, Xicor, Analog Integration Partners, Exar ,and Micropower. Mr. Levison earned his Bachelor’s Degree from the University of California, Davis in Electrical and Electronic Engineering, and also earned his Masters Degree from the University of California, Davis in Electrical and Electronic Engineering. Mr. Beachler is a Silicon Valley veteran with over 30 years of success in developing and marketing cutting-edge technologies. His background includes more than 16 years of experience in a variety of engineering and marketing roles at Altera Corporation, a leading provider of Field Programmable Gate Array (FPGA) products, which was acquired by Intel Corporation in 2015 for over $16 billion. He has also served as Vice-President of Marketing, Operations, and Systems Design at Stretch Inc., a provider of embedded video processing solutions, up until its acquisition by Exar Corporation in 2014. 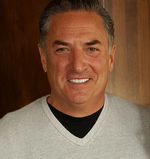 While at Exar, Mr. Beachler was appointed Vice-President of Corporate Marketing and Business Development. Most recently, he served at Xilinx Corporation, the leading worldwide independent provider of FPGA products, and led the marketing of imaging, video and machine learning solutions for Xilinx's industrial, scientific, and medical markets. Mr. Beachler holds a Bachelor’s of Science in Electrical Engineering from The Ohio State University. Mr. Scarince most recently served as a consultant at 8020 Consulting, working on all aspects of finance at a variety of companies globally. Previously Mr. Scarince served as Controller at Virgin Galactic and Vice President of Finance and Chief Accounting Officer at Virgin America. He began his career as a senior auditor at Deloitte and Touche. Mr. Scarince received his Bachelor’s Degree in Finance from Marquette University and his Masters Degree in accounting from the University of Wisconsin-Milwaukee.